Click on the logo above for information on this blog hop. We have a hiatus of the blog hop right now, but Jarn’s Journal will continue. I’ve wondered before how long wild dogs live, but now it has become a matter of some urgency. I think Patches is dying. Her appetite has not been good the last couple of weeks. It’s even hard to get her to drink water. I am not much of a healer, but when I try to feel what is going wrong with her, I think her blood cleaning system is shutting down. She’s lost interest in swimming, in chasing game, in all of the other things that used to be her consuming interest. It’s strange to remember her as the orphan pup that came into my life even before I knew the People were here. She has become very much a part of my life. I remember how destructive she was, yet at the same time, how adorable. She is an animal, I tell myself. So are the People, some part of me answers. They, too will grow old and die. Is it my fate to live on, alone? Jarn’s Journal is the remote back story of the universe in which I write my science fiction. For all the the Journal to date, check out my author site. 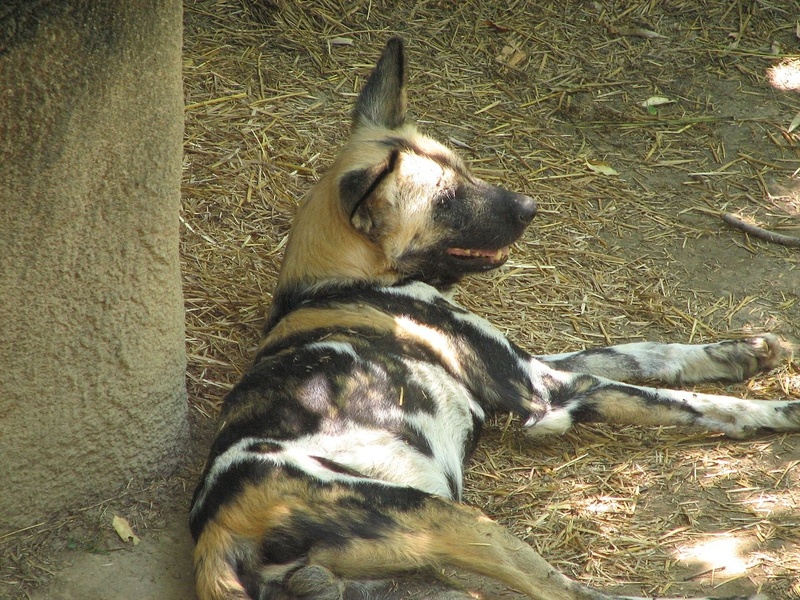 This entry was posted in SFFSaturday and tagged African Wild Dog. Bookmark the permalink.